Online merchants know debit and credit card chargebacks are a part of conducting business online, but that doesn't mean they need to settle for unfavorable ratios. Businesses that accept credit cards online can limit the number of chargebacks they see with payment processors that offer payer authentication. Many customers shop online in good faith, and if they need to dispute a purchase, both the merchant and payer can generally work out a resolution without the need for a forced chargeback. Most online merchants also recognize that chargebacks are unavoidable in some instances, and know that they'll have to account for loss in this area each year. However, the potential for fraudulent transactions and chargeback abuse does exist, and merchants ought to take steps to reduce their vulnerability to this threat. 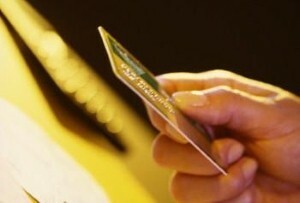 A 2011 report from CyberSource found deceptive chargebacks represented 38 percent of e-commerce fraud losses in 2010. Online merchants contested 55 percent of suspicious chargebacks that year. Of these instances, the businesses were able to win 41 percent of those disputes and reclaim losses in 24 percent of all cases. However, the dispute process remains costly and saps both time and money that could be better spent elsewhere. As a result, online merchants are advised to work with a payment processor that provides solutions that can help to reduce fraudulent chargebacks. One such strategy is payer authentication, a process that seeks to verify a customer's identity with his or her card issuer in real time. This method can provide merchants with protection against disputes in a similar manner as a signed receipt, and it can cut down on scenarios in which customers claim they don't recognize or remember authorizing a particular purchase. Top payment processors should be able to provide a service that can accept credit cards online and limit a company's exposure to fraud. Payer authentication can be just one piece to that puzzle.